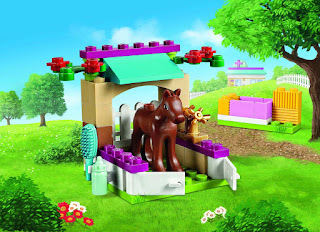 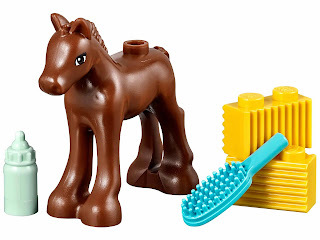 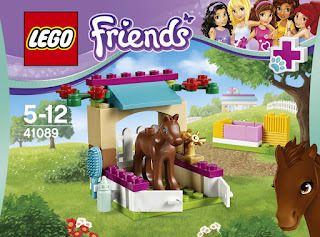 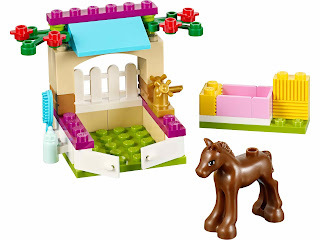 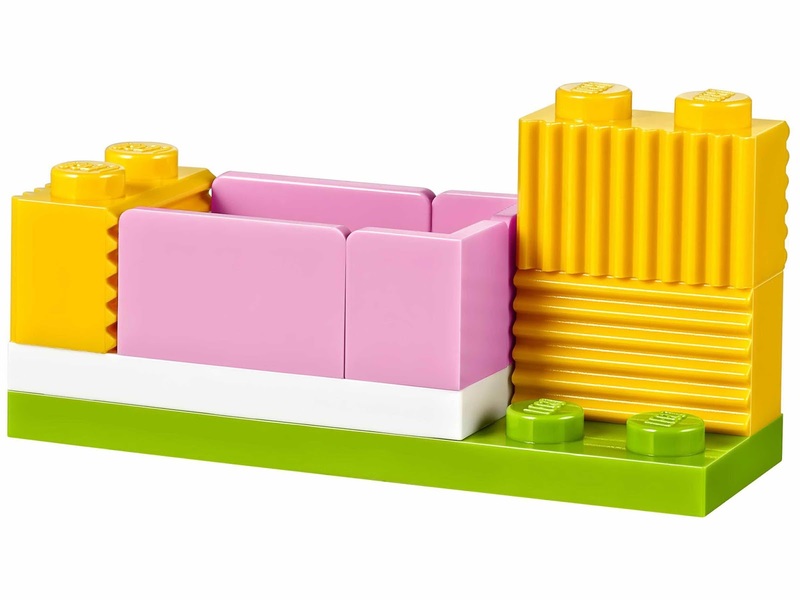 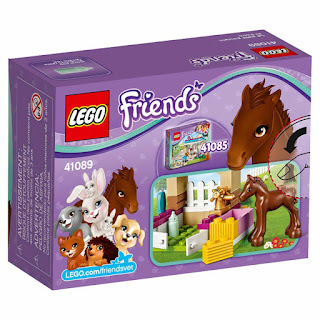 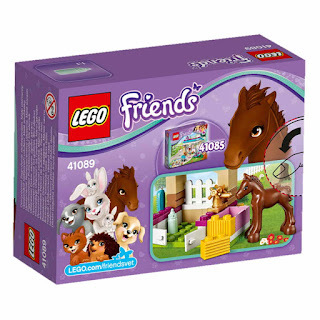 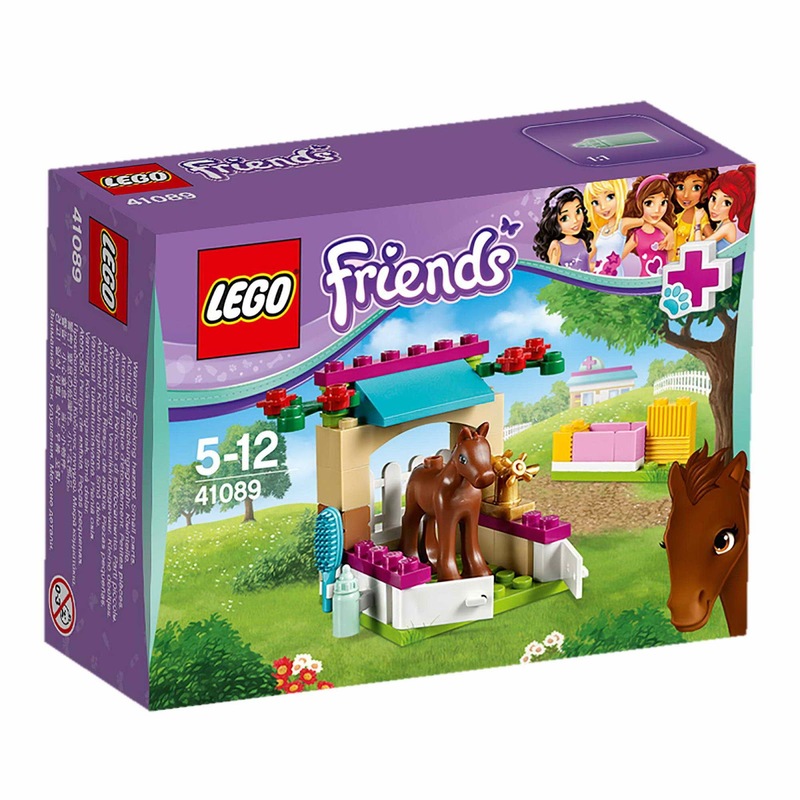 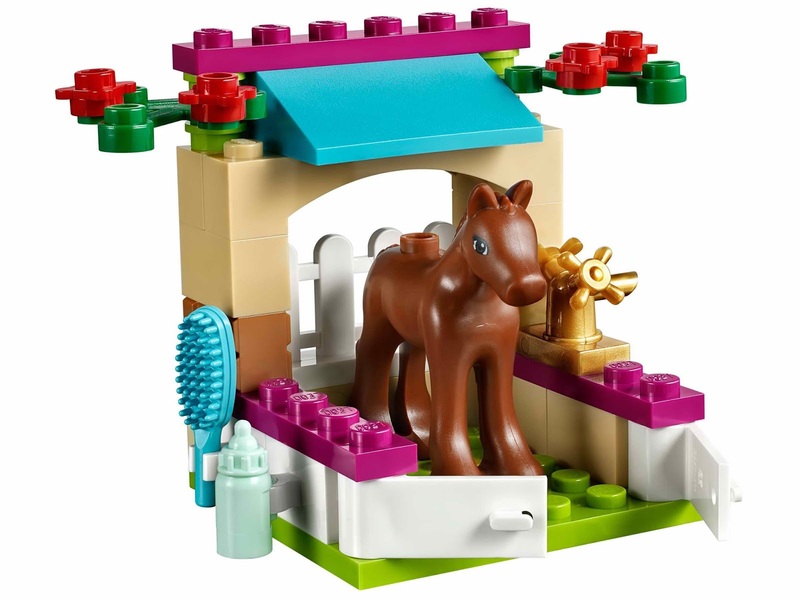 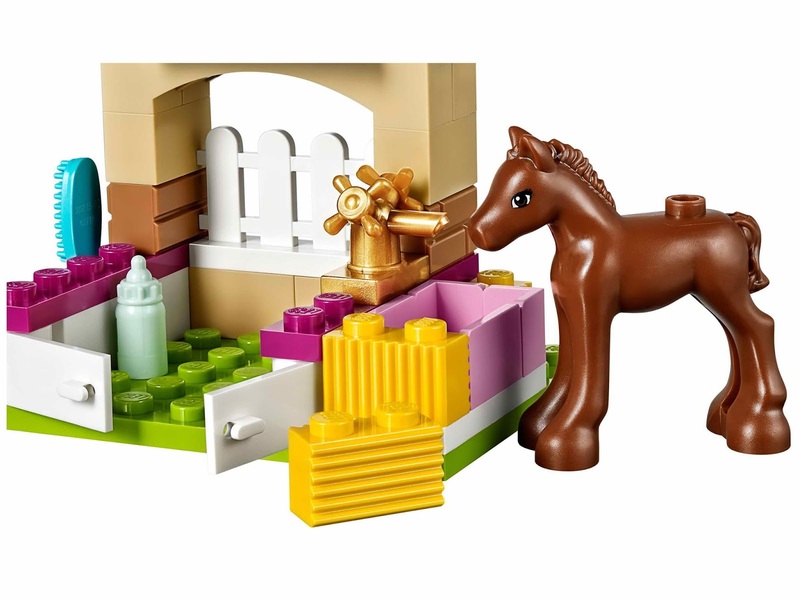 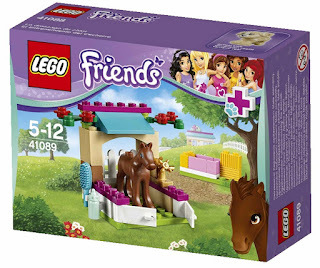 come with a foal, a buildable stable with openable doors, a fence and a water trough. 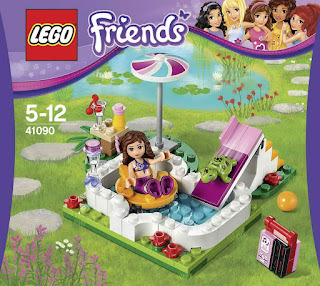 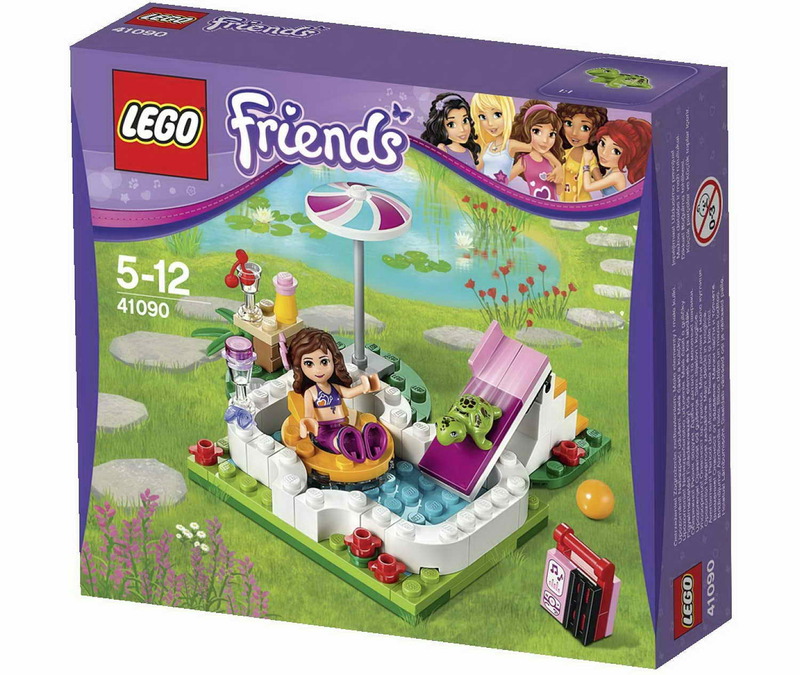 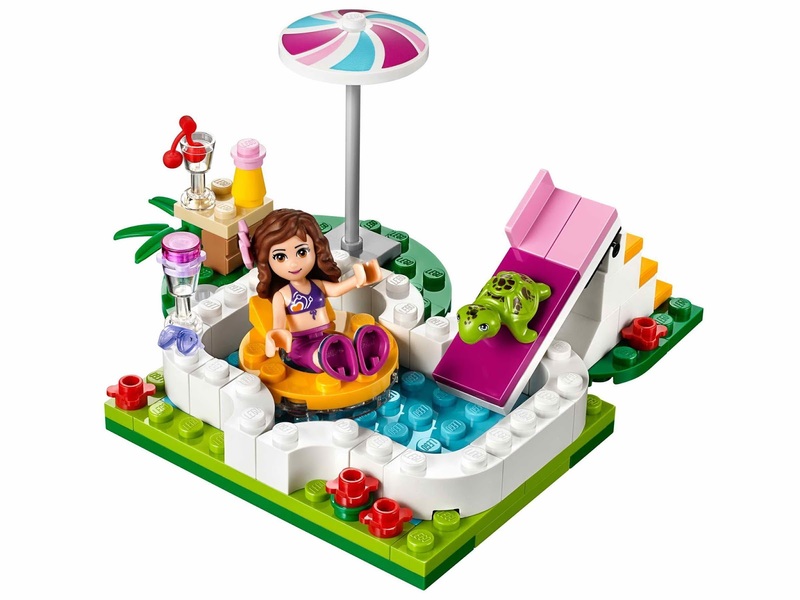 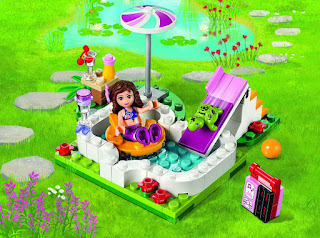 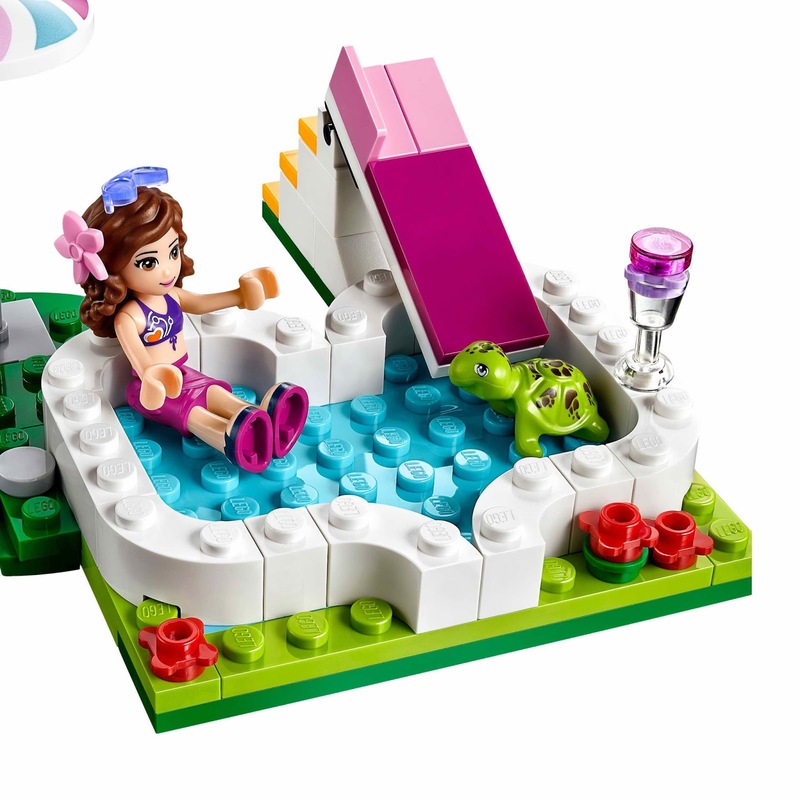 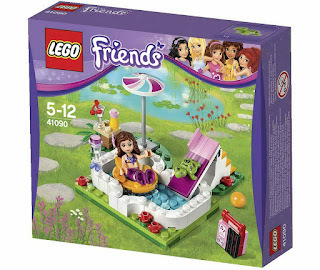 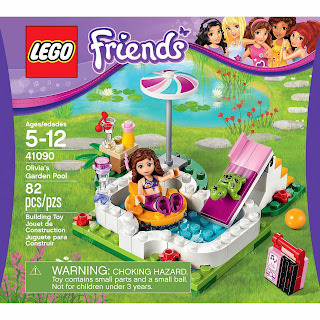 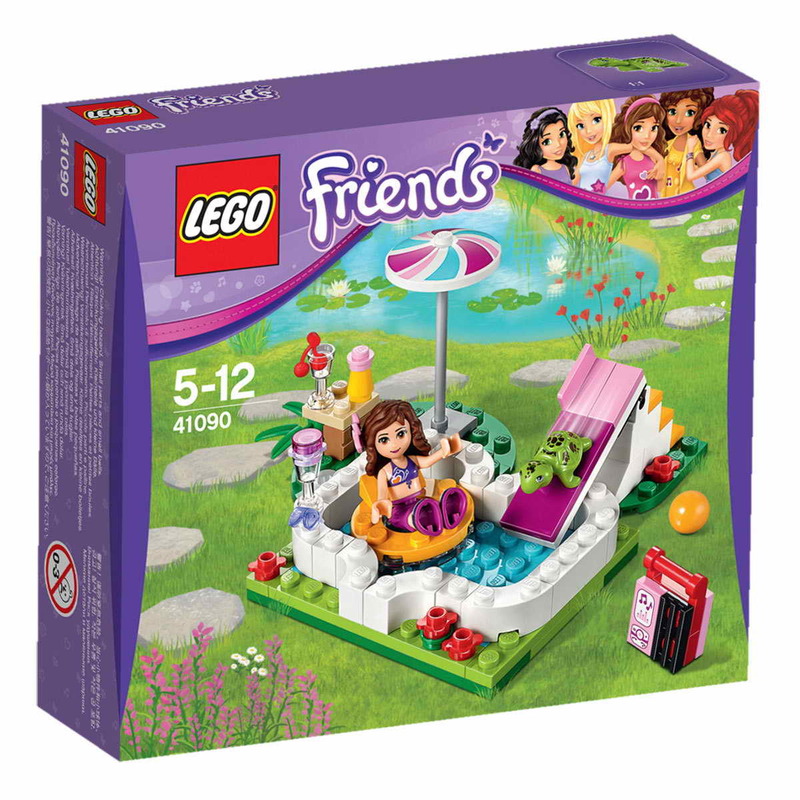 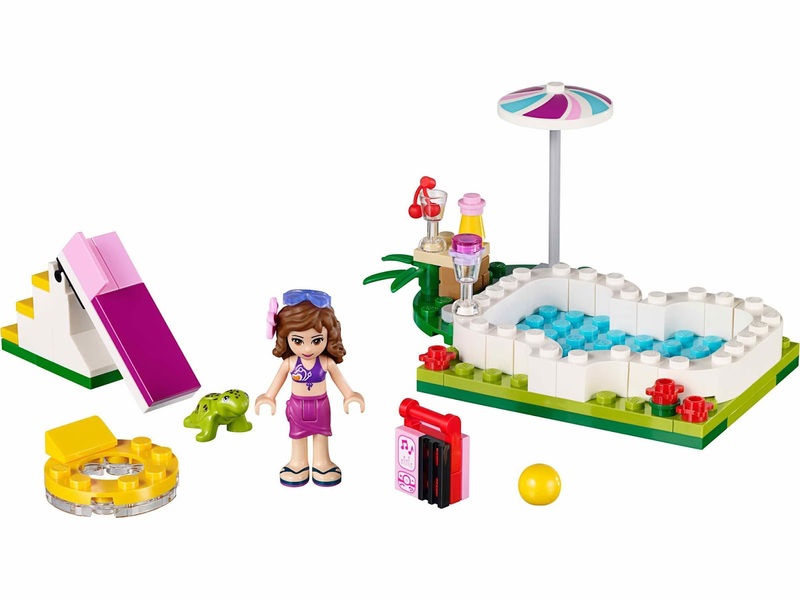 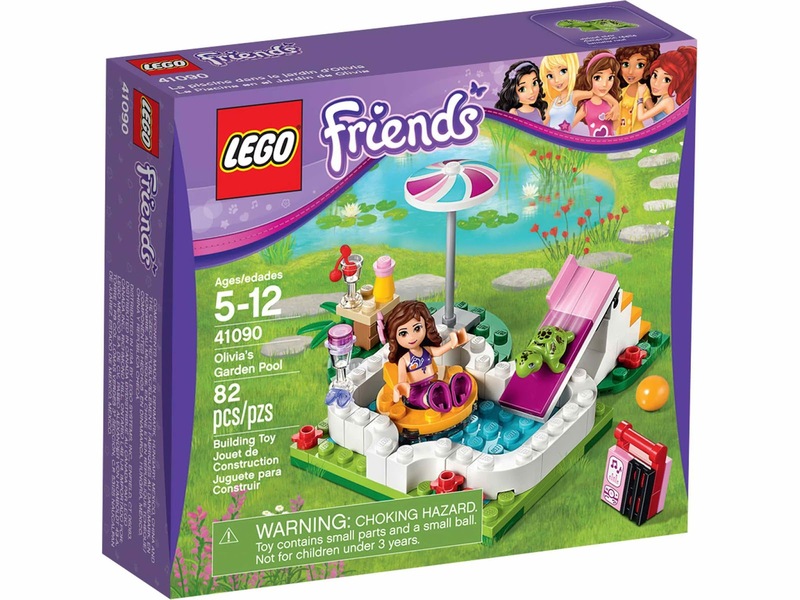 come with a heart shaped pool, an adjustable slide with stairs, an mp3 player, a parasol, a table and a floating ring. 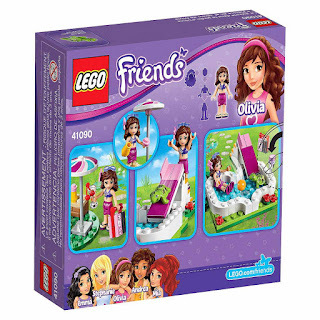 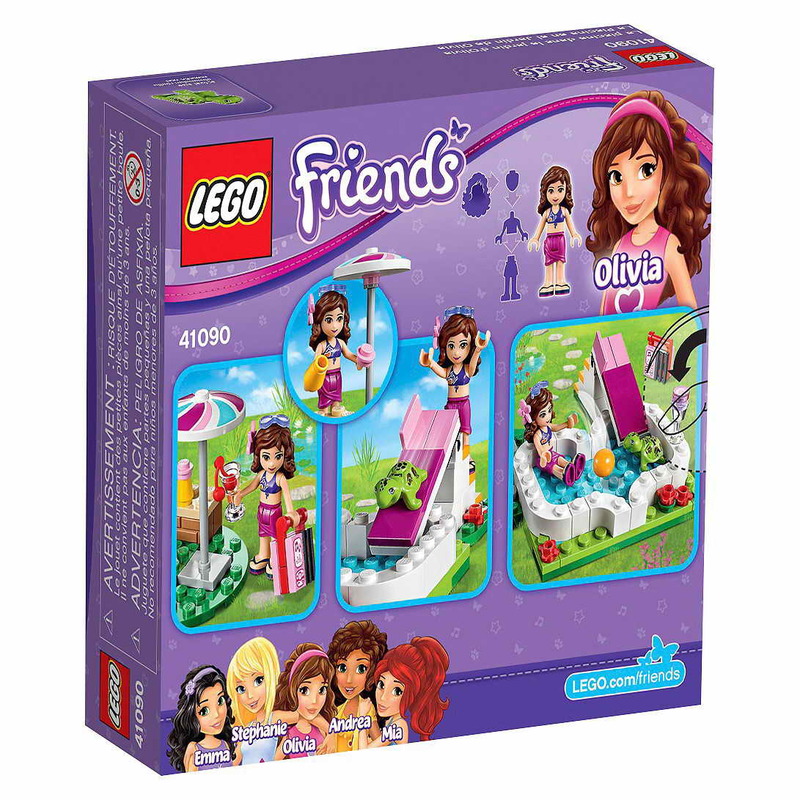 minidoll included olivia minidoll in dark violet bikini and dark purple wrap.